Are you Looking for Nursery Schools? Amazing portal! helps you apply admission of your child!.Very professional ,and the best part! - no need to fill form again and again for different schools , no need to get in queue of different schools ! one stop solution to view,compare and apply in any school! LOVE JUSTDAKHILA! Why CBSE Ordered 8000 Schools To Disclose Their Data Online? Central Board of Secondary Education (C.B.S.E) has passed an order for All the Schools to submit their overall data online. This order was released on October 25, 2016 and 30th November 2016 is the deadline for the schools. CBSE Chairman Rajesh Kumar Chaturvedi has claimed that zero schools have shown unhappiness regarding providing the overall data. CBSE has approximately 18,179 affiliated schools but not all the schools have submitted their data online. 13,000 Schools have submitted the data online so far. 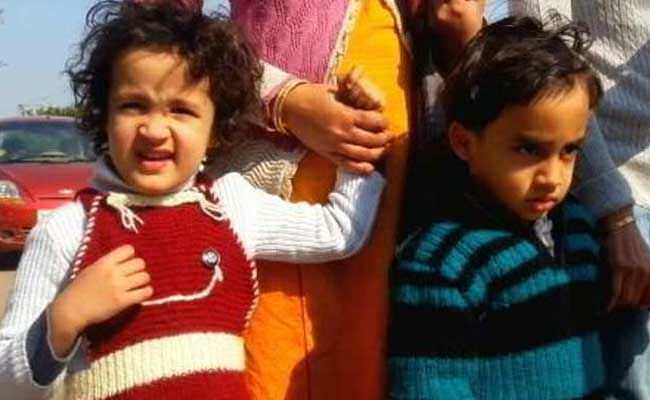 They admitted that some schools have objection over submitting the pay-salaries of the staff and teachers with their names. Why It is been done? Following PM Modi’s direction on GIS Technology to map the examination centers, PM Modi said that It will help Parents to look for information related to exam centers online. An answer to every Parent’s pain of confusion about Nursery School Admission & they look for accurate information about Schools in Delhi NCR. Putting up the data online will eventually help parents to get all the information about School Admissions with the ease of Internet. Justdakhila.com can make this easier by coming up with door-to-door assistance supporting the declaration of PM Narendra Modi. CBSE Chairman also said that Only 45% of the total schools have submitted their Complete data. But countering on his statement the question raises that what about the remaining 55% of the school? Solution to this, Parents can get assistance from a typical Parent Assistance Service which makes a lot more easier for the parents to get admission assistance for their children. I couldn’t get my daughter registered for class IX in the online process due to some family crisis. By the time things settled, it was too late. I don’t want her to leave her studies as she is a really hardworking girl looking forward to a bright future for her as well as the family. The second phase of online admission has been announced despite all the odds and I am very happy for my daughter. It is likely to start from 3rd June 2017. The Directorate of Admission is taking initiatives to make this notice reach maximum people and at the earliest. A formal notice stating the same has been issued and the Heads of the Govt. schools under the Directorate of Education have been asked to display the copies of the circular at prominent places and near school gates. Parents are really grateful to the authority for reopening the admission process. According to the statement made by the Justice Manmohan. “The notification was arbitrary, unreasonable and against the public interest”. Earlier, the Court has directed schools to accept school admission application through dual method. This includes their own school criteria as well as the City administration guidelines. The Tuesday’s order from High Court will give free hand to all the schools. Thus, they can select candidates based on their own admission criteria. “State cannot impose a restriction on choice of parents to choose a school for their wards just because it is beneficial for the child” said Justice Manmohan after the judgment. The court additionally scrutinized the city government’s choice to force the area confinement to just those schools that are based on Delhi Development Authority land. “Open intrigue can’t be restricted to 298 schools,” . Justice Manmohan commented including, “essential driver of nursery affirmation disarray is the absence of good schools in the capital”. So, at present Nursery Admissions based Neighborhood criteria is not in place hence every parent is free to select Schools. Being a parent to a teenager, I was going through quite a dilemma regarding his Studies and mainly because of the way CBSE is turning folds month after month. Yes, I am taking about CBSE Board Exam. I am sure there are many parents out there Who are thinking and feeling the dilemma. 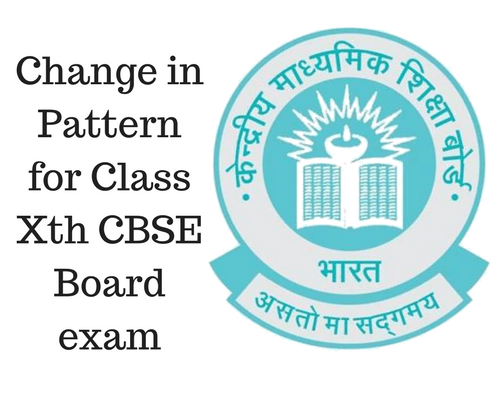 But according to the latest Circular released, Class X CBSE board exam are compulsory from Session 2017-18 and few notable changes are also introduced. Here I am pointing out the crucial notes from the Circular for all the Parents and Children who are studying in Class 9th. Total Marks for each subject will be 80 Marks and the Board exams will cover 100% Syllabus of Class X only. Passing marks required will be 33% of Total Marks i.e. 80 marks. So, passing marks will be 27. The Result will have both Marks as well as Grades for each individual Subjects. 9 Point Grading will be same as followed by the Board in Class XII. Each subject will have fixed 20 marks for Internal Assessment. There will be 3 Periodic tests in a Year. The School has complete liberty to conduct them according to its schedule. Finally, best of 2 will be considered in the total score. This is majorly prescribed so as to bring seriousness among students and motivate them to prepare Notes on specific topics. This also addresses the critical aspect of regularity, punctuality, neatness and notebook upkeep. Language Subject – The main aim is at equipping the learner to develop effective learning and speaking skills. For Mathematics – To focus on the laboratory and project related activities as given in the prescribed publication of CBSE NCERT books. Science Subject – To focus on the Lab works and activities as given in CBSE Curriculum. For Social Science – Focus on Map and project work as prescribed in CBSE Curriculum. Note – Given below is the Scheme for 6th Subject.